Available immediately is this charming cottage that has undergone complete renovation and boasts a landscaped good size garden to the rear. The accommodation briefly comprises; lounge, dining room and high gloss kitchen to the ground floor. At first floor level that are two bedrooms spacious bathroom that has a separate shower enclosure and bath. 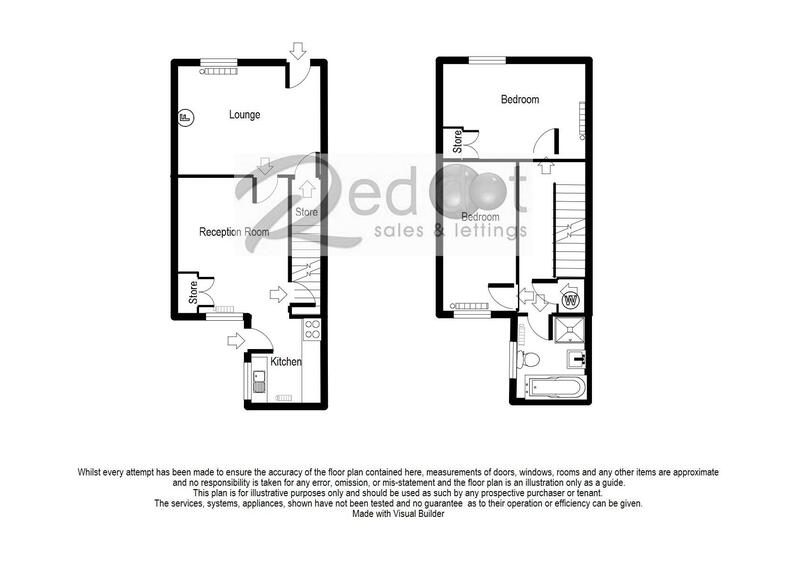 The property has double glazing throughout and a quality composite front door. Gas fired central heating. To the rear is a brick-built outbuilding that is used as a utility room and WC. EPC Rating D. *Fees Apply. From our Sandbach Office proceed to the roundabout and take the second exit on to Crewe Road, continue through Wheelock until you reach the next roundabout, again take the second exit and continue through Winterley into Haslington and the property is on the right-hand side. Composite front door with decorative glazed inserts. Double glazed window to the rear elevation, radiator, ceiling light point, partially glazed doors to the under stairs cupboard and stairs to the first floor. Fitted with a range of cream high gloss wall, base and drawer units with contrasting work surfaces over, fridge and freezer and cooker left as good will only. Inset sink unit with tiling to the splash backs, wall mounted gas fired central heating boiler, radiator, double glazed window and door to the rear garden. Ceiling light point. Ceiling light point, loft access, radiator, smoke detector, doors to both bedrooms and the bathroom. Cupboard housing hot water cylinder. Double glazed window to the front elevation, ceiling light point, built in cupboard to with shelving. Radiator. Double glazed window to the rear garden, ceiling light point and radiator. Fitted with a four-piece suite comprising; separate shower enclosure with electric shower, low level WC, panel bath and pedestal wash hand basin. Partially tiled walls, radiator, double glazed window to the side, ceiling light point and extractor fan. To the front of the property there is a small courtyard with gold coloured gravel, low boundary wall and pathway to the front door. To the rear there is a good size rear garden mainly laid to lawn, large paved seating area, well stocked borders, green house and garden shed. Brick built outbuilding with power, light & water supply, plumbing for washing machine, space for tumble dryer and low-level WC. Window to the side. Red Dot Estates are a member of The Guild of Professional Estate Agents and The Property Ombudsman.